NeuroGym® Technologies products are leading the paradigm shift in Elder Care from one of immobility to one of mobility. NeuroGym® Technologies tools safely and effectively address important neurological and orthopedic rehabilitation challenges. 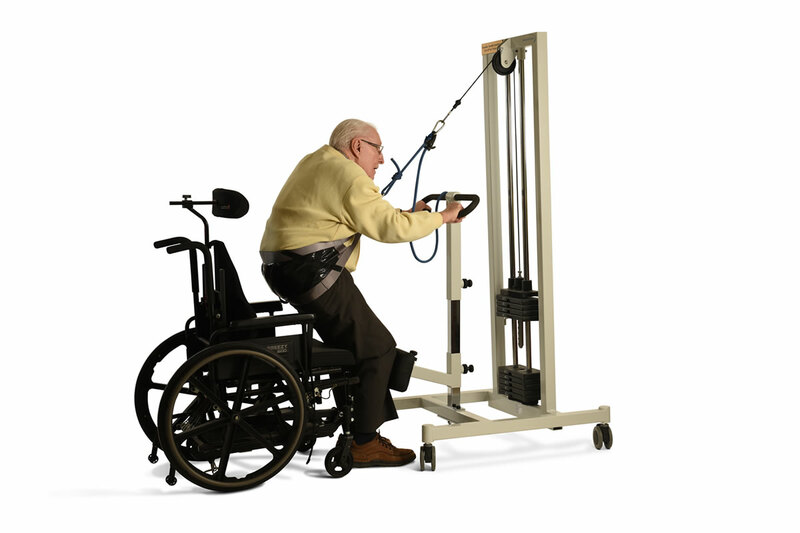 NeuroGym® Technologies line of mobility enabling equipment is designed to help maintain mobility and prevent falls. We are pleased to announce that NeuroGym Technologies Inc. was acquired by Medline Industries, Inc. on July 6, 2018. Medline is the largest family-owned manufacturer and distributor of high-quality medical supplies and solutions in the US. They have been the exclusive distributor of the NeuroGym line of mobility training and rehab equipment in the US since 2016. NeuroGym Technologies employees will continue with Medline and Dr. Avi Nativ, inventor of the technology, will serve as a consultant to the business. Click here to read the Medline Announcement. Canadian customers with inquiries related to the NeuroGym line of equipment should contact Martin MacKay at: mmackay@medline.com .